We are only taking 8 hunters a week and the weeks are filling up! Not many Black Bear Outfitters in the State of Maine can equal the well over 40 years of experience the Katahdin Valley Outfitters has with Hound and Bait hunting the elusive Trophy Black Bear. Our experience shows with our consistent high success rate. We know Black Bears and we know how to make your hunt successful. We have a Taxidermist (Top Of The World, in Benedicta, 365-4166) that will pick up your trophy immediately for processing if that is your desire. Steve Nissley and his 860 lb Moose he took out of a group of 5 Bulls in zone 5. Rachael and her some of her brothers. She took this bull with one shot in zone 1. Katahdin Valley Outfitters offer the serious Outdoors minded person an opportunity to hunt and fish the pristine Maine wilderness in a Christian environment. We make no apology for our commitment to The Lord. Alcohol consumption is prohibited on the property. If you are a serious Hunter and looking for a lodge that caters to the individual hunter and his success the Katahdin Valley Outfitters is your place. Katahdin Valley Outfitters of Maine, offers Black Bear Hunts, Whitetail Deer Hunts, Moose Hunts and Small Game Hunts. Fishermen, Snowmobile enthusiasts and Vacationers are also welcome. Our housekeeping cabin is centrally located for the hunter between the game rich old grown over apple tree laced farmlands and the “big woods”. For the fisherman we are only a few miles from the Macwahoc lakes, Pleasant Lake and Mattawamkeag Lakes. We are right on top of streams that yield the Brook Trout fisherman, fishing opportunities all summer long. 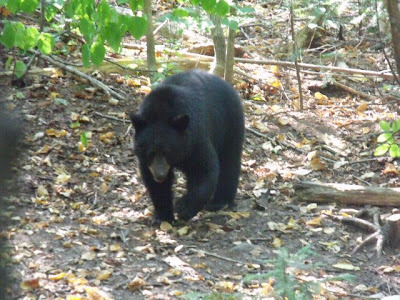 Katahdin Valley Outfitters is one of the few outfitters privileged to manage Black Bear in a continuous township. Because there is no other outfitter Baiting the Black Bear in Township 3 R4 we are able to keep our success rate well above average. When it come to deer hunting the Nissley family success with Big Maine Whitetail Bucks has been proven over and over again through the years. We also hunt other states and offer trips that we have hand picked to produce trophy Whitetail Bucks. If you are in pursuit of a trophy Maine Moose the Katahdin Valley Outfitters has an outstanding record of producing Bull Moose in the 50 inch category or better hunting in the traditional way of getting in the woods. The vacationer will be able to enjoy the quiet atmosphere of the countryside in the evenings. Many times bear and moose are seen from the porch. Located near the North entrance of Baxter State Park offers some of the best hiking or sightseeing in Northern Maine. Visit the Lumberman's Museum in Patten. Take a ride in the evening to see a moose or deer and smell the sweet fresh cut Spruce.